When it gets down to it, there are two ways to grill: directly or indirectly. These methods have less to do with the type of grill you are using or the style of food you are cooking than with the thickness and volume of what you are grilling. Knowing which method to use and how best to do it is a very important part of being a great griller. Direct Grilling is the most basic and simple way to cook. Foods are cooked, or grilled, directly over the heat. What can be simpler than that? 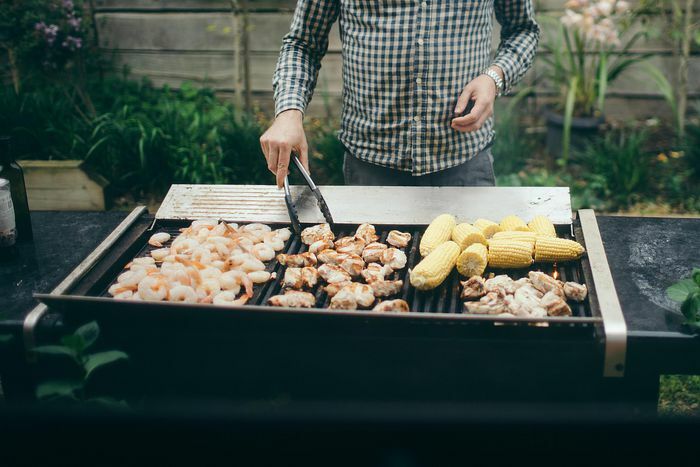 There is one basic variation to direct grilling, however: leaving the lid up or keeping it down. Direct cooking is the oldest method of cooking. You can do it with a piece of meat, a stick, and a fire. It is the direct exposure to the heat that cooks the food. In this day and age, we have cooking devices with lids. It is this lid that determines whether the food is grilled or baked. By closing the lid you hold in the heat and allow foods to be cooked all over. Imagine using a frying pan. The frying pan on the burner is using direct heat. The part of the food in direct contact with the pan is cooking. Now put the lid on that pan. The part of the food in direct contact with the pan is cooking faster, but the sides and top are also cooking because the lid is trapping the heat inside. The same principle applies to grilling. Open the lid and the rising heat will cook the bottom of the food. Close the lid and the trapped heat will cook the sides and top. Of course, you still have to turn things over to get even cooking, but with the lid down you reduce the cooking time and cook through to the center faster than you would with the lid up. The foods you cook with direct heat are the traditional grilling fare: steaks, burgers, fish fillets, etc. Anything that is less than 2 inches in thickness should be cooked by direct grilling. These are things that generally cook quickly and benefit from the fast cooking of a hot grill. As for having the lid up or down, generally, you want to go with down. 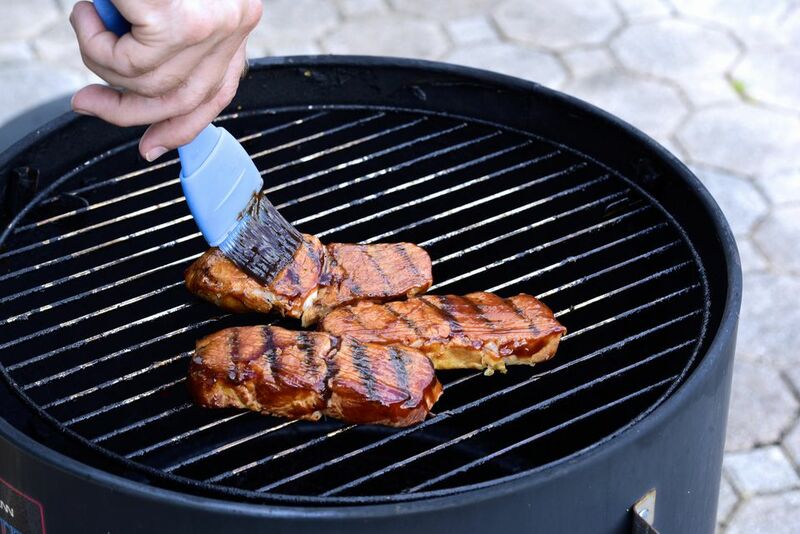 The only reason to grill with the lid up is for items that need a lot of basting, or cook so quickly that having the lid down increasing the risk of overcooking. Any large food item or cuts of meat more than about 2 inches thick should be grilled indirectly. Indirect Grilling is more similar to baking than direct grilling. This method requires that the "fire" by built off to the side of where the cooking will take place. If you think of a typical gas grill, imagine having the burner(s) turned on, on only one-half of the grill. This is the heated side. You then place the food you wish to grill indirectly on the unheated side and close the lid. Convection and radiant heat will then cook the food. Since the food is not being exposed to direct heat from the burners it will cook more evenly and be less likely to burn on the exposed side. Of course, this also means that it will cook more slowly. This method of cooking only requires that you be able to enclose the food in some way, charcoal works just as well as gas. With a charcoal grill, you simply build the fire on one side of the grill and cook on the other. When using a charcoal grill to cook indirectly I find it best to build the fire like you always would and then use a small metal shovel or similar tool to shift the hot coals to one side. Of course, there are a lot of possibilities when it comes to building a fire. With a gas grill, you are limited in how you set up the fire. Burners have this annoying habit of either being on or off. When it comes to indirect grilling a burner on low is still too hot so it's off or on, how high depends on your target cooking temperature. However, with charcoal, you can build all kinds of indirect fires. Coals can be piled in the middle and food placed around the edge, the coals can be around the edge and the food in the middle, the coals can be on the side, well you get the idea. So what do you do if you have a small gas grill and only one burner? One of the tools you need for indirect grilling is a drip pan. This can be a heavy cast iron pan or a disposable aluminum pan. This pan sits under the cooking grate where you plan on doing the cooking. If you have a one burner grill then the drip pan should go in the middle with the food directly over it. The drip pan diverts the rising heat and creates the space you need for indirect grilling. The drip pan also catches all the drippings from the food and helps keep your grill clean. You indirectly grill anything that will burn on the surface before it can get cooked through to the middle. This includes cuts of meat over 2 inches in thickness, poultry, roasts, etc. You also use this method for grilling with a rotisserie.